The Witcher 3: Wild Hunt developer CD Projekt Red has patched the game with Xbox One X enhancements, allowing people to play at 60 frames per second or in 4K resolution — even though a strange bug seems to contradict that. The Xbox One X patch, which weighs in at approximately 550 MB, brings the game to version 1.60. 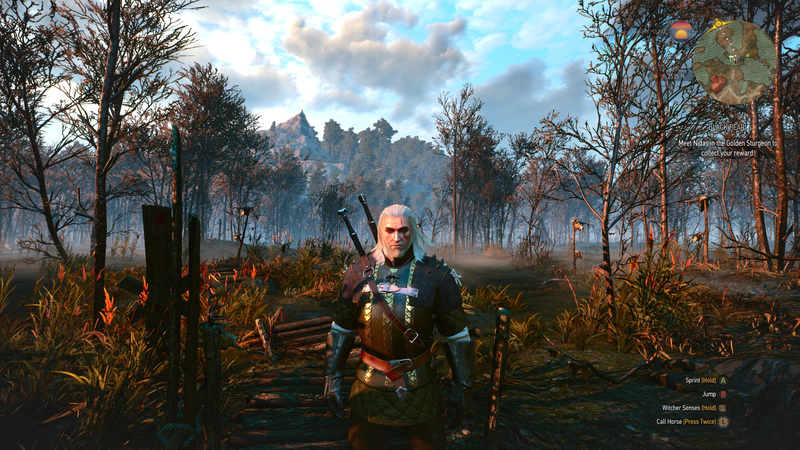 It adds two new visual options to The Witcher 3’s display settings: 4K Mode and Performance Mode. 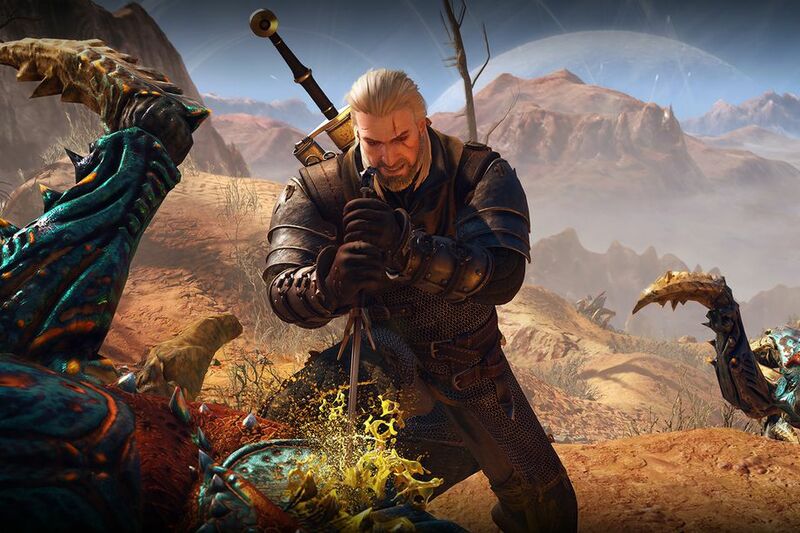 The former delivers “stable 30fps gameplay,” said CD Projekt Red, at what appears to be native 4K resolution. The latter option runs the game at up to 60 fps, and scales the resolution dynamically between 1080p and 4K in an effort to meet that frame rate target. Interestingly enough, there was one way to get The Witcher 3 to run at 60 fps on an Xbox One X before today. The game shipped with an unlocked frame rate, so the increased horsepower of the Xbox One X could run an unpatched disc copy at 60 fps. In addition to the visual modes, the v1.60 patch provides improvements to image quality for Xbox One X users: higher-resolution textures, as well as better texture filtering, ambient occlusion, and shadows. CD Projekt Red’s patch notes do not mention the Xbox One S, so we’ve checked in with the studio to ask whether The Witcher 3’s new HDR functionality also works on that console. CD Projekt Red did say that a patch to add HDR on PS4 Pro “will soon be released.” (There’s also no word on whether that upcoming update will enable HDR on other PS4 models since all of them to support HDR.) The studio patched the PS4 version of The Witcher 3 in early October to add support for the PS4 Pro, which enabled 4K resolution via checkerboard rendering on that console. I checked out both of The Witcher 3’s new visual modes on Xbox One X, and can report that they’re impressive. The game looks terrific in 4K Mode, with a clear definition on foliage in the environment and on Geralt’s character model, including his flowing locks and the wolf pendant on his necklace. The frame rate held up just fine during a battle with two sirens on Ard Skellig, although when I tried a stress test — the infamous Crookback Bog — I did encounter some slowdown below 30 fps. Your mileage may vary, but I think I’ll end up sticking with Performance Mode. Being able to gallop around and slay monsters at close to 60 fps is a revelatory experience, even if the frame rate does vary more than in 4K Mode. Combat in The Witcher series is always an idiosyncratic exercise, but it feels way better in Performance Mode than at The Witcher 3’s typical locked 30 fps. As you can see in the full-resolution screenshots I captured, the game’s interface is drawn at 4K regardless of the visual mode, so on-screen text (including subtitles) is sharp and clear even when the game itself is only running at 1080p. It’s worth noting that the frame rate boost of Performance Mode doesn’t seem to apply to the world map, which exhibited frequent stuttering as I panned across it. I also noticed an odd bug with the Xbox One X visual modes in The Witcher 3’s options menu. The mode setting exists in the Advanced section of the display settings, and the only option there is to choose between the 4K and Performance modes. The default is 4K Mode, and when I tried to change it to Performance Mode, the setting didn’t appear to take: If I backed out to the main pause menu and then went back into Advanced under the display options, it would appear that the setting had reverted to 4K Mode. We’ve asked CD Projekt if it’s aware of this issue, and we’ll update this article with any information we receive. For more on the Xbox One X.